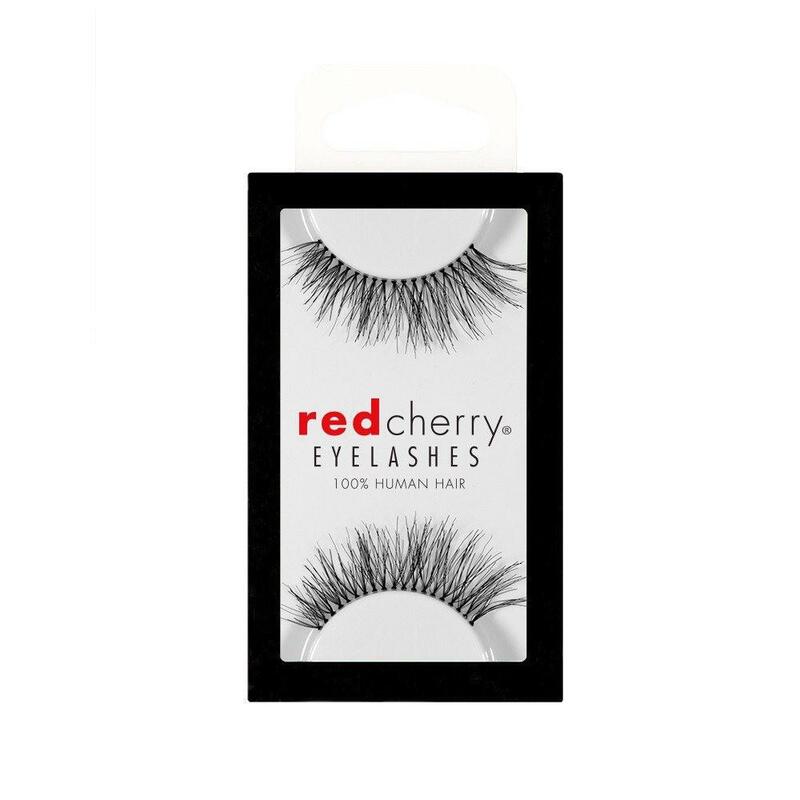 Red Cherry (Natural) #217 (also known as Red Cherry TRACE False Eyelashes) are subtly natural-looking lengthy black false eyelashes. Style is comparable to sligher longer version (about 1mm) of Bullseye MARILYN Lashes. Red Cherry Lashes #217 are super soft 100% hand-made false lashes. These perfect everyday natural lash style has a gorgeous outer curl offering glam for everyday natural look! Try stacking 2 pairs of these lashes together as double layer lashes for a more dramatic look to make your eyes pop. Get the compliment you long for! Gotta love this natural style lashes! Gently remove #127 false lashes from the tray. Trim lash band in width and lashes in length if needed to suit your personal preference. Apply quality fake eyelash adhesive such as DUO Strip Lash Adhesive sparingly to lash band and wait 30 seconds for adhesive to become sticky before postioning. They are long but not too long for me. One thing i love is the perfect thickness. Red Cherry lashes are my all time favorite i have been using them for awhile and I don't think i'll be buying another brand ever. I reuse one pair a lot of times all i do is take off the glue from my previous use and it's good as new to use again. Very fast shipping too. I'm one happy customer this site is great!! I thought these would be a little more dramatic I had to add a little bit of mascara . I do believe its also a matter of preference . No complaints on quality tho red cherry is a great brand I just need to find thicker lashes . Can't go wrong with Red Cherry lashes!! Can't go wrong with red cherry lashes ! These are very good lashes. I love them! They are very well made AND give a great impact but they don't look fake. These are REAL red cherry lashes the same brand you buy for twice the price in stores! As long as you pick the correct style your getting exactly what you want. Your paying half the price for lashes. You just gotta wait a couple days for your lashes to come in the mail..I Will be buying again . These are natural looking lashes and are fairly easy to apply. I am learning how to put fake eyelashes because i love how they looked on and these are the easiest to apply. There have been several brands I have tried and this brand was the easiest it stayed in its shape and they look nice on. good price and good quality a little longer than eexpected but still love how they look on me. they give me that longer and more dramatic look . One of my favorite brands to use very good quality keep em coming guys!! I have typical short, straight lashes. I wanted false lashes that would give my lashes the little boost but these were way too much. They were way way too long and obvious they were fake on my eyes. I don't think these lashes suit me very well. Trying some shorter ones but sticking to Red Cherry the quality is very nice. 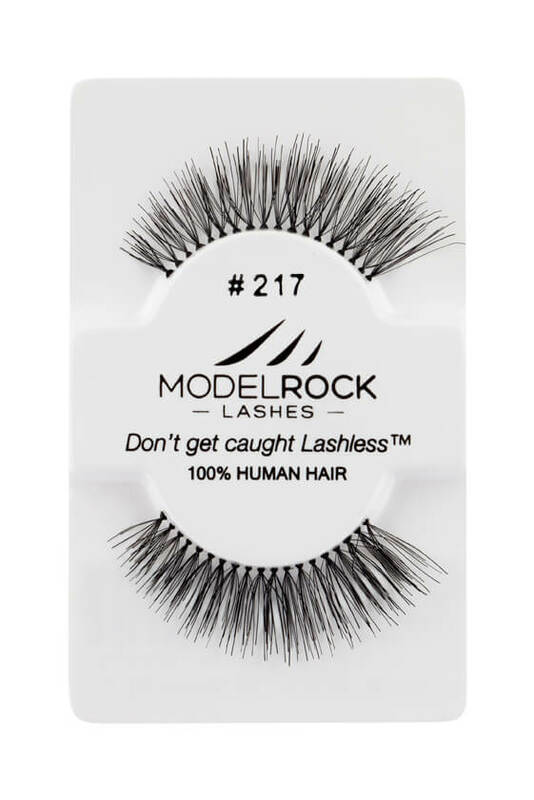 This is a great product, You gotta try these eyelashes they are just perfect! I love how they look so natural. I wear one set for my every day natural look and i get lots of compliments! BUT i do put 2 of the lashes together for a more dramatic look and it makes my eyes pop. ladies u gotta try them! These are very soft and natural looking.. Really comfortable to wear They also last a really long time I definitely reuse mine several times. Natural yet glamorous . Great product !! Light and easy to wear I love them. Shipped incredibly fast . Thank you.